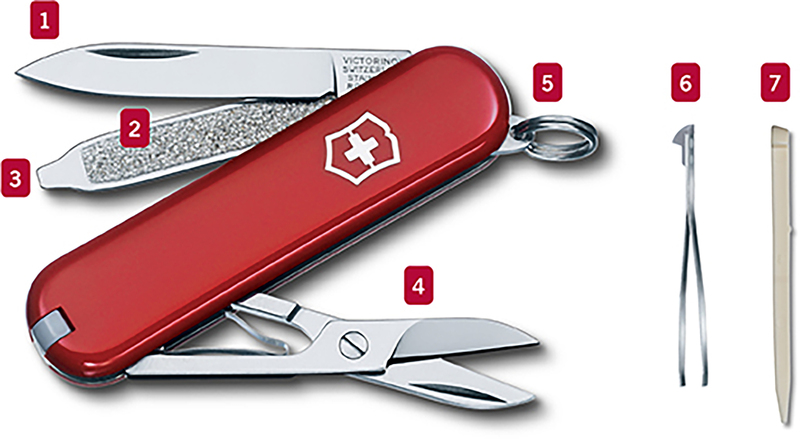 Swiss Army Knives, legendary, iconic and a necessity for outdoor enthusiasts. Victorinox's Classic SD features all of the functionality you'll ever need for an everyday adventure, all wrapped up in a small, sleek transportable package. The Classic SD Swiss Army Knife is a small, compact tool built for the everyday. Designed with 7 handy functions, the knife includes essential scissors and a screwdriver to take with you absolutey everywhere. Geben Sie noch 26,62 € aus, um eine kostenfreie Lieferung mit Sendungsverfolgung zu erhalten.